Catherine Coulter is the author of two popular romantic suspense/thriller series: FBI Thriller and A Brit In The FBI. While she has written many additional novels in the Regency and contemporary romance genres, those books are beyond the scope of this site. Here are the Catherine Coulter books in order for the romantic suspense/thriller series and her standalone novels in the same genre. Catherine Coulter was born in 1942 in Cameron County, Texas, where she also grew up in a family of artists. Her grandmother was a writer, her father was a painter and singer, and her mom a concert pianist. She was merely a teenager when she wrote her first two short stories, so her love of writing ran deep from an early age. She attended the University of Texas from where she got her undergraduate degree, following which she went to Boston University majoring with a Master’s degree in early 19th-century European history. Fresh out of university, she got her first job as a speechwriter for a Wall Street manager, however, she could never forget her love of writing. After she wrote her first full-sized romance novel, she sent it to a Signet editor. The publishing house accepted her manuscript, and even more so, offered Catherine Coulter a three-book deal. The first book was titled The Autumn Countess, and it was published in 1978. With the success of her first novels, in 1982 the author quit her job to follow her dream of writing books full time. So far the author Catherine Coulter has written well over 70 novels, most in the historical romance genre, from which she switched in 1996 to writing romantic thrillers. Her latest books are The Devil’s Triangle and Enigma, both published in 2017, followed by The Sixth Day and Paradox, to be published in 2018. Catherine Coulter is one of the few lucky authors who got their manuscript accepted by a publisher just days after it was sent to an editor. In addition, she got a three-book contract right off the bat. Many authors struggle for years to get their debut novel published, so kudos to her publisher, Signet, for recognizing talent as soon as they see it. She works about three hours a day, from 7.30 to 10 or 11 am. She says she is writing fast, so the three, four hours would mean much longer hours for other slower writers. For her research for the books, Catherine Coulter has a friend at the FBI who gives her tips whether something is feasible or not (or it’s a downright crazy idea). As for the medical aspects of her books, she is again lucky because her husband is a doctor, so Catherine can run her ideas past him to make sure that what she is writing is realistic. 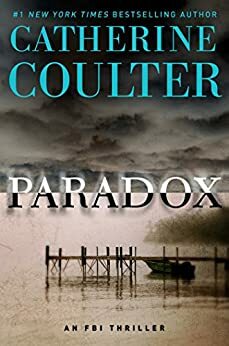 After writing The Cove, her first thriller novel, Catherine Coulter had no intention of writing another one about the FBI agents. Her publisher, however, had other ideas, so the book became the first in the author’s highly popular series. Also, Dillon was insistent that he wanted to be featured in another book. The FBI Thriller series is known for its short 1-2-word book titles, great storylines and two clever FBI agents who are the center focus of the books: Dillon Savich and his wife Lacey Sherlock. They are not only employed by the FBI but also are computer specialists. 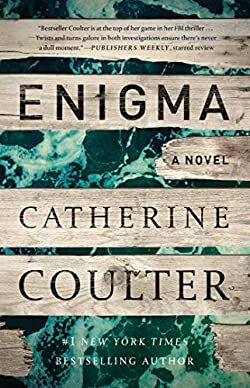 In Enigma, the couple is teamed up with Agent Cam Wittier, who also appeared in Insidious, and also with agent Jack Cabot to find out who John Doe is and catch an international criminal, a mad scientist who wants to experiment on people to find a way to live forever. Dillon Savich saves the pregnant Kara, who soon after she is free, she gives birth to Alex, a baby who goes missing right away. Now Dillon and Lacey have to find the kidnapped baby boy and stop the mad scientist from his quest for immortality. Enigma is a fast-paced thriller where the hunt for a killer is mashed up with enough science to make this book highly engaging. As usual with the author’s entire FBI Thriller series, the book features two parallel mysteries. Finding the identity of John Doe, rescuing Kara and later finding her missing boy is one plotline while finding an escaped convict through the Daniel Boone National Forest where Agents Cam Wittier and Jack Cabot are also involved, is the second storyline. The first storyline involves the elusive science, while the second plot is a simple (but still complex) murder case with a chase after the sociopathic criminal who is robbing banks. The two stories don’t really intersect all that much until the rather rushed ending, and the plot of the second one was sort of dropped and quickly resolved. I did enjoy more the Savich story anyway, so I didn’t feel I lost too much. When not writing, Catherine Coulter likes to play with her cats, to work out, shop, and to visit other countries with her husband. She loves especially Italy. J.T. 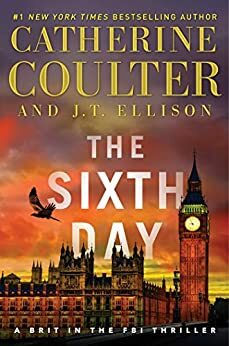 Ellison is the co-author of some of the Catherine Coulter books, namely the Brit in the FBI series. Catherine considers J.T. Ellison an integral part of her family and circle of friends. The two authors work well together. He initially started working with Catherine in 2012, when she was looking for a co-author. J.T. Ellison is also the author of his Dr. Samantha Owens series. Reading the Catherine Coulter books in order for her two FBI series is recommended, although not necessary. While each book deals with a separate case, some novels do reference previous cases the teams have worked on before. Truly enjoy your books. Anxiously awaiting The Devil’s Triangle.